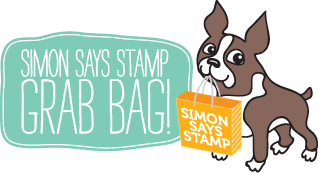 Simon Says Stamp Kid’s Challenge!
. We have not 1, not 2 but 3 surprise parcels of crafty goodies, hand picked by Simon! This card is made by my daughter Aditi who is 13. She loves to draw and sketch. Any free paper will have atleast some doodle on it. When I asked her if she is happy to make a card for the challenge, she gladly accepted. About the same time, we had seen The Jurassic World. She is crazy about the raptors and wanted to draw them. So this is one of the raptors from her sketch. She also coloured them with copic markers. Yes, my copic markers were raided without my knowledge 🙁 She cut the raptor by hand and made a card. The raptor is grounded using Sliding Slope die cut from Simon Says Stamp and pattern paper. The sentiment is stamped on Talk Bubbles 2 die. The sentiment is from Dinomite stamp set from Clearly Besotted. I think the stamp set is retired now. That was the only dinosaur stamp set in my collection. She finally embellished with some enamel dots. wow!! this is amazing!! the dinosaur is very nice!! beautifully drawn and perfectly colored!! great job Aditi!! WOW! Looks like the apple doesn't fall far from the tree. Aditi is one talented girl, like her Mum. Tell her for me that this is an amazing piece of work. The color, composition, embellishment, just everything, is really well done. I fully expect to see her name on a masterpiece hanging in some gallery or museum some day. Awesome card! That raptor is just amazing – wow! OMG Aditi! This is absolutely fantastic card!!! Thank you so much for sharing and inspiring, Aditi! 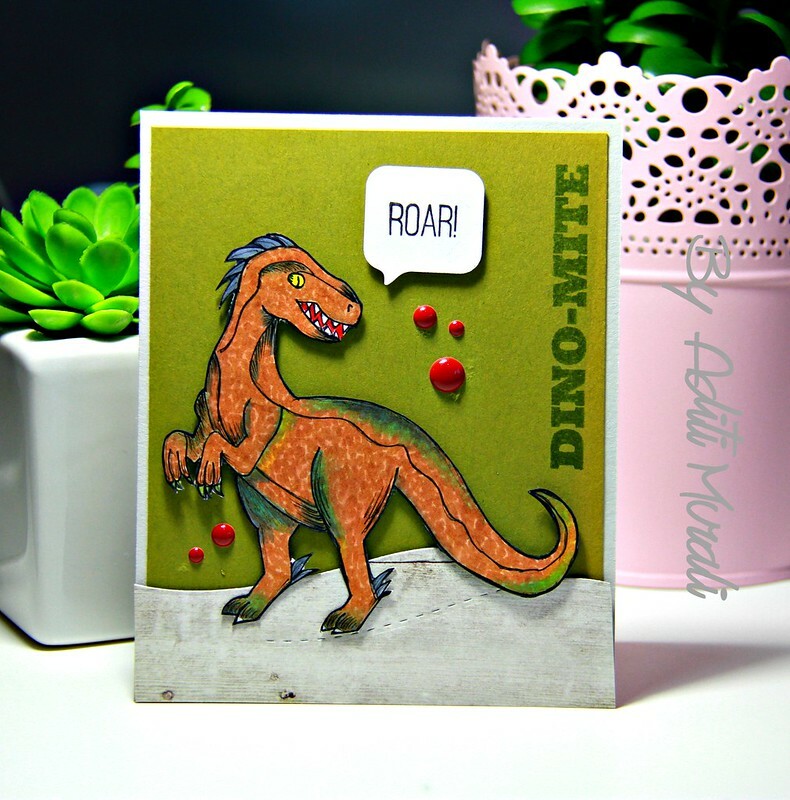 A brilliant card Aditi, a super background you have created for the stunning dinosaur – you have so blended and coloured it so beautifully – I love it!!! Aditi, I love the way you colored your dinosaur, and great cutting, also! We're so glad you joined our challenge this month! Good luck! What brilliant colouring of the dinosaur Aditi, it makes a fabulous card. Wow! That is an awesome dinosaur! Fantastic card! I love it! Thanks so much for playing in the Simon Says Stamp Kids Challenge!